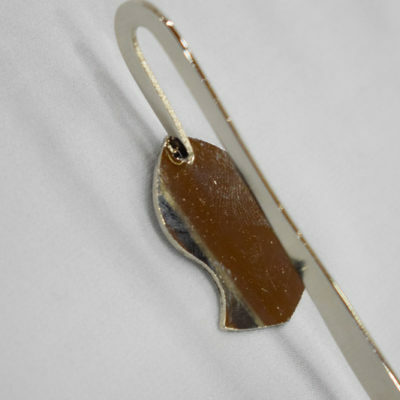 This hook-style bookmark is made of copper plated with Rhodium which gives it a silver finish and makes it very resistant to scratches and blemishes. 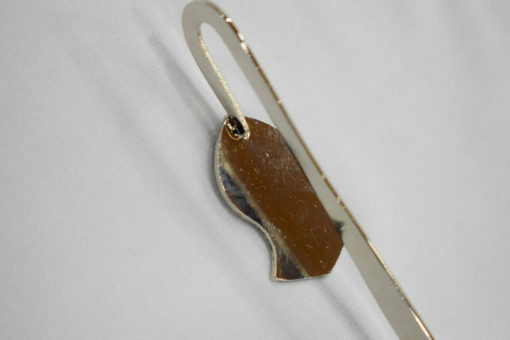 It is ornated with the Prophetic Sandal which sits on the spine of the book adorned with it. It feels smooth and light to the touch, yet sturdy and elegant.